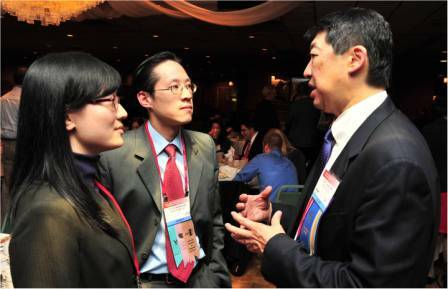 CAOS encourages Ophthalmology residents of Chi nese descent to submit abstracts for this annual award. Applicant must be a current 3rd year resident (PGY-4) in an accredited Ophthalmology residency program in the United States. The resident must be the first author of the submitted abstract. The recipient will be honored at the CAOS AAO Banquet Program held during the American Academy of Ophthalmology Meeting. The application deadline date is September 13, 2019. Applications submitted after this date will not be reviewed. 2. Separate title page: including title, author names, academic affiliations, year of Ophthalmology residency and program, contact address and phone number, acknowledgements and financial disclosure. 3. Separate Abstract (with no authors, institutions, hospitals, etc. ): Include purpose, study design, methods, results, and conclusions.